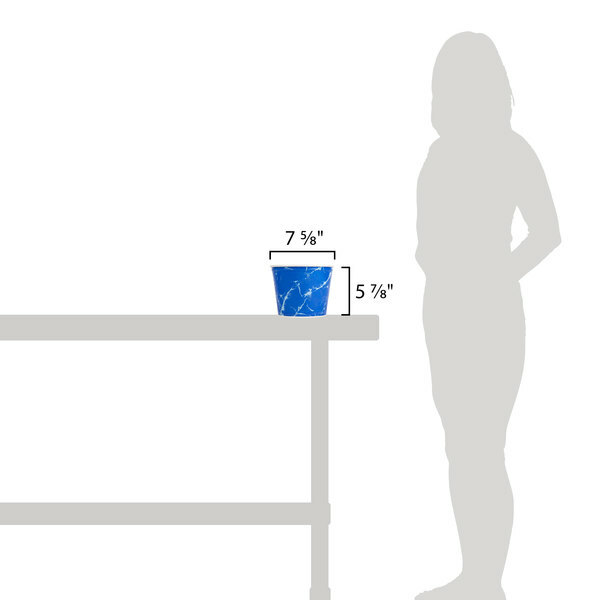 This Dart Solo 5T3-00069 5 lb. 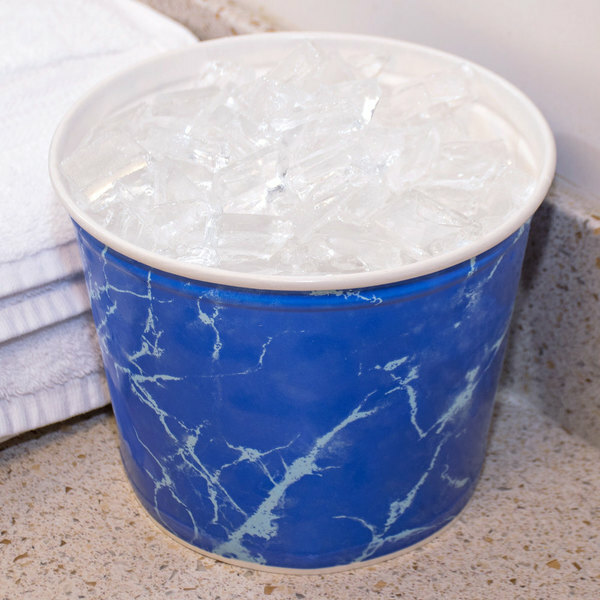 paper ice bucket is ideal for use at your hotel, motel, or resort. 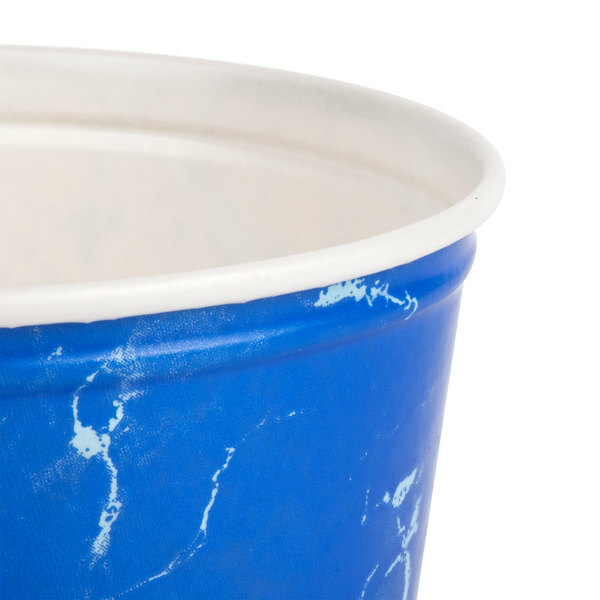 The unique double wrapped waxed paper ice bucket features a tightly rolled rim, two-piece construction for superior strength, and a wide mouth for easy filling. 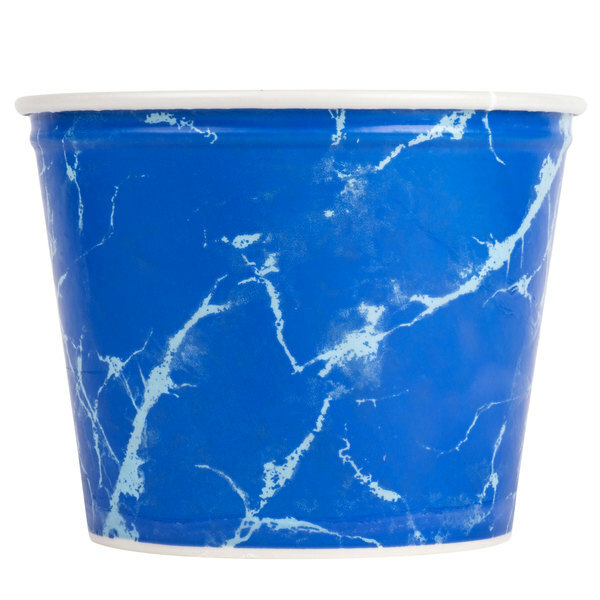 The blue marble detail design adds an artistic touch to the outside of this 5 lb. 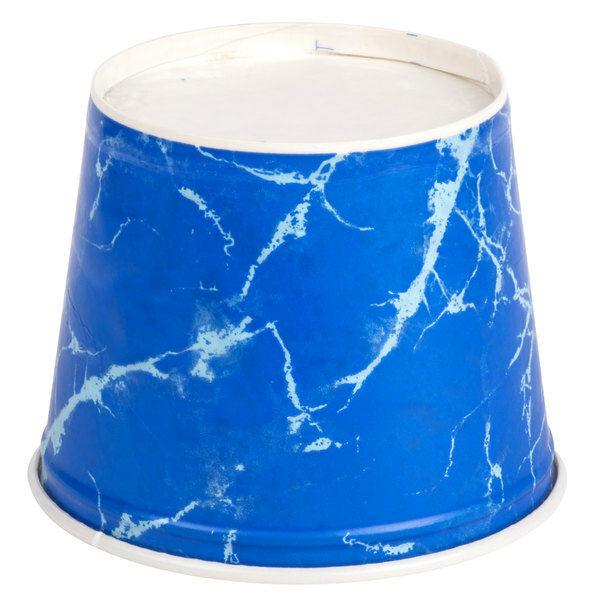 paper ice bucket. 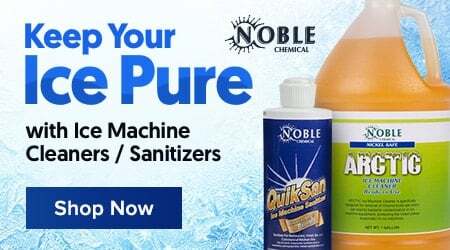 Allow your customers to lounge and relax in style with this 5 lb. 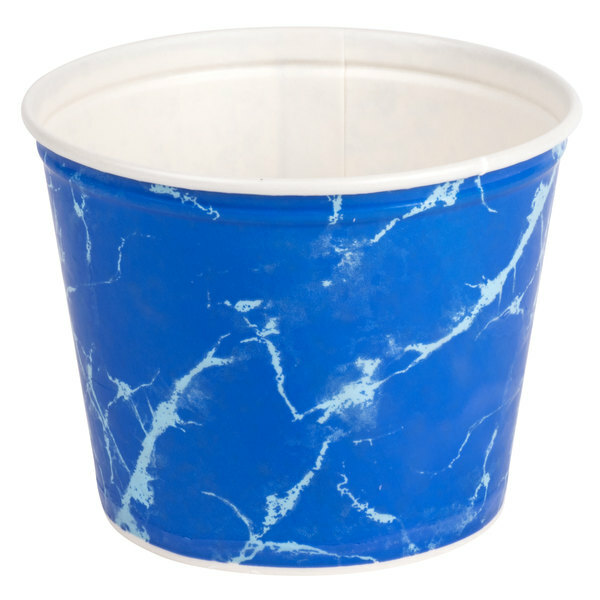 paper ice bucket.